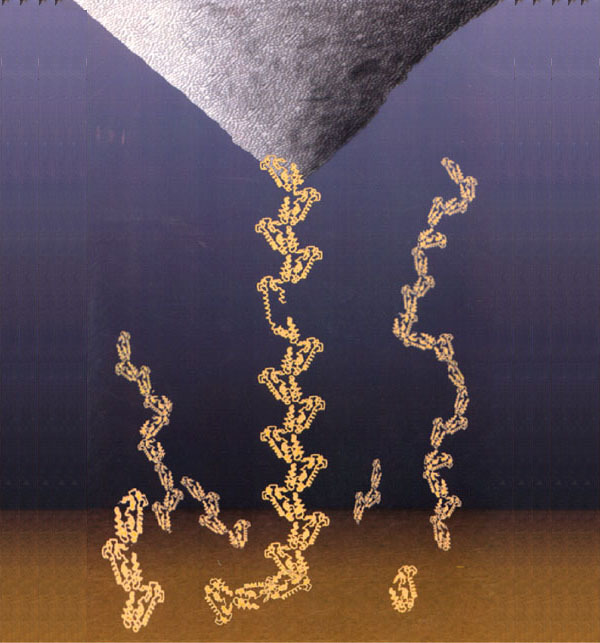 The AFM tip is pulling a protein chain away from the substrate, causing one of the protein domains to uncoil. 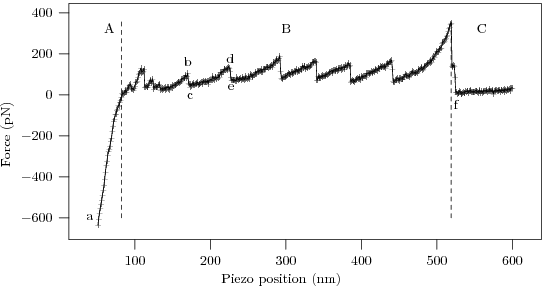 To interpret the force curve, let us examine it piece-by-piece as the AFM tip gradually pulls away from the substrate. The linear 'contact' region demonstrates the Hooke's law behavior of the AFM cantilever, with force ∝ displacement. 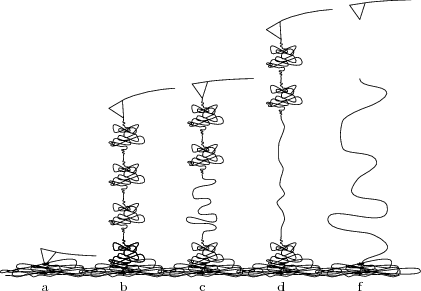 The high force 'bulge' linking the contact region to the sawtooth comes from the AFM tip pulling free of the surface and associated protein 'mat' (the cartoon being excessively pretty, and our sample having too high a protein concentration :p). The characteristic 'sawtooth' comes from several identical domains unfolding one after the other. After the last of the protein domains unfolds the protein snaps off of the AFM tip (or the substrate), and the deflection of the now-free cantilever ceases to depend on distance.